As appliance specialists, we are always interested to see how people are interacting with their kitchens. More and more Brits are interested in eating better and becoming healthier so we surveyed 2000 Brits to find out more about this. Our research found that a third of Brits are currently dieting, with a further 22% having been on a diet in the last 12 months. 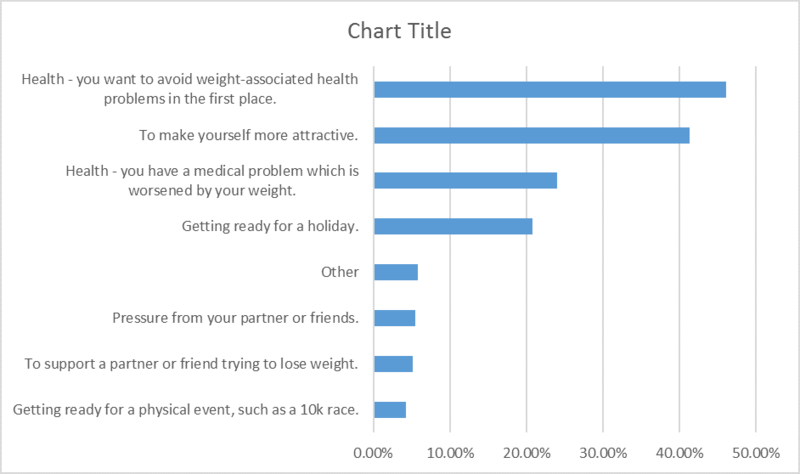 A third of the respondents not on a diet admitted to considering trying to lose weight in the future. 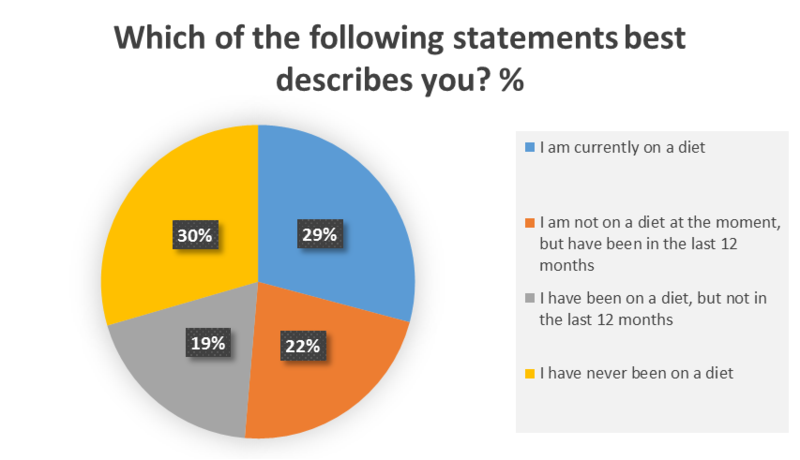 The survey also asked both those who are currently dieting about their current weight and their weight aspirations and found that the average person wants to lose a stone. 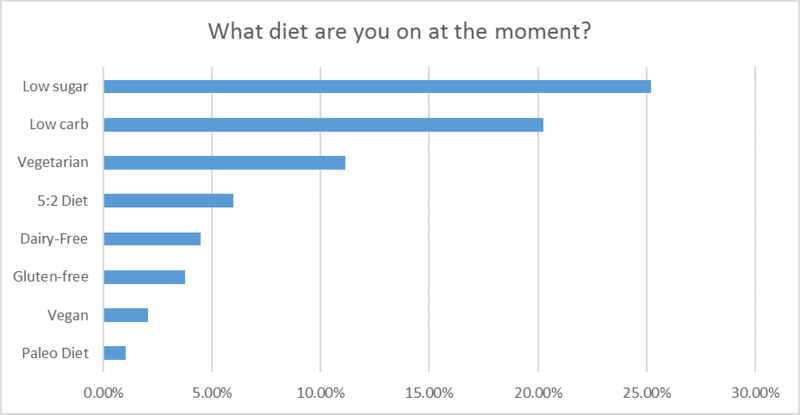 The results detail the types of diets most popular with Brits and found that a quarter (25%) of slimmers opted for a low sugar diet, followed by 20% on a low carb diet plan and a further 11% choosing vegetarian dishes. Respondents also revealed the reasons for their diet with almost half stating that they want avoid weight-associated health problems later in life, followed closely by 41% saying they are doing it to make themselves more attractive. Almost a quarter of those who answered cited a pre-existing medical condition that is worsened by their weight. One fifth said they were dieting before their summer holiday. The survey also showed that women are most likely to diet to make themselves more attractive with 48% stating that that is their reason for wanting to lose weight, compared to only 31% of men. 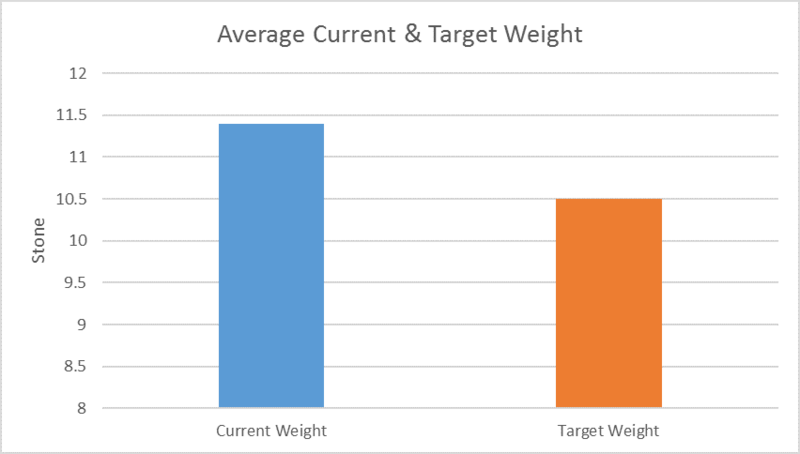 On average, those surveyed admitted to wanting to be a stone lighter than their current weight, however less than 10% of respondents stated that they intend to make long term changes to their eating habits. British Dietetic Association spokeswoman, Anna Daniels said: “Fad diets invariably fail as they are often restrictive and don’t take into account individual lifestyle factors. Chocolate was voted the most difficult food to give up (40%), followed by cheese (27%), bread (26%), alcohol (24%) and cake (21%). I find bread and chocolate the most difficult to give up, and have greatly reduced my bread intake to only ½ a slice in the past week. I had a small bar of chocolate today for the first time in 3 weeks. I don’t find it easy to follow a low carbohydrate diet because I do not like some of the food, such as cheese, which seems to be a staple item. I also have a sweet tooth and am not too keen on drinking a lot of water. I wish someone would devise a diet which would suit my tastes, likes and dislikes as I do need to lose weight to help my back problems.